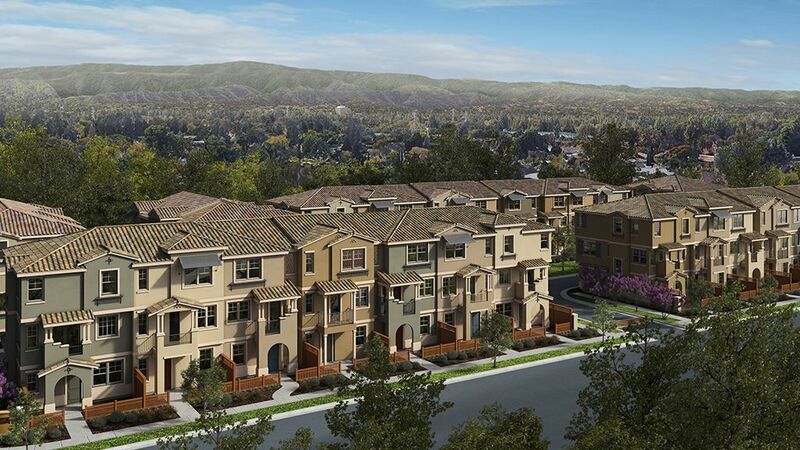 Chic Mountain View, CA Condos Come Home to 6Sixty Located in the heart of the Silicon Valley, Taylor Morrison's newest Mountain View townhome community offers spacious three-story attached homes within minutes of the tech industry's top employers. Enjoy a prestigious address and an easy commute fewer than five miles to Apple, Google, Symantec, LinkedIn, Intuit, Microsoft and Samsung. 6Sixty is situated within walking distance of Google's Quad Campus at Fairchild Dr. and Whisman Rd.MODELS OPEN DAILY Driving Directions Conveniently located near Bayshore Freeway (SH-101), you'll love the lock & go lifestyle that comes with owning a new build townhome in Mountain View, CA. Whether you're hitting the coast for a weekend at the beach or heading east to ski at Lake Tahoe, low-maintenance condo living means freedom for an active lifestyle.Choose from Four Mountain View, CA Home Designs Crafted for modern living, each 6Sixty floor plan features an open-concept living and dining area with an adjacent deck for outdoor fun. Mountain View real estate that's perfect for foodies, gourmet kitchens are well-appointed with quality cabinetry, countertops, fixtures and lighting plus a convenient walk-in pantry. Master bedrooms are bright & spacious with a master bathroom designed for two. The three larger layouts feature walk-in closets in the owner's suite. Plan to work from home? Select Silicon Valley townhouse plans include a first-floor bedroom that can easily be converted into a quiet home office away from the rest of the home.